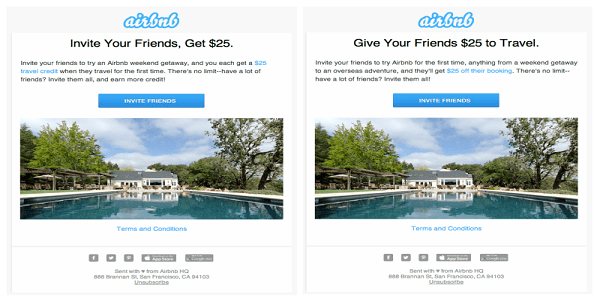 CASE STUDY: How Airbnb used Referral Program to increase its booking by 25%? 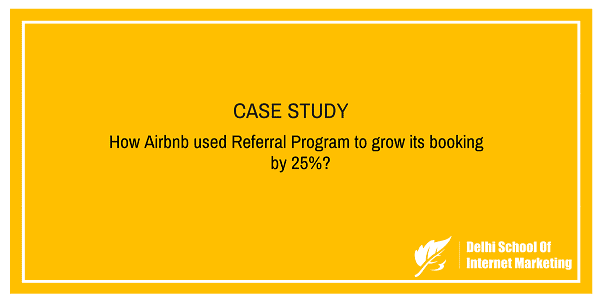 Home > Blog > Blog > CASE STUDY: How Airbnb used Referral Program to increase its booking by 25%? Airbnb is a marketplace where people share their private spaces all over the world to be rented for short-term. These spaces could be apartments, villas, houses, or even castles for a unique travel experience of various prices. Founded in 2008, the company now has over 2,000,000 listings in 34,000 cities of 192 countries and the number is growing day by day. Airbnb was founded in 2008 in California. The idea was conceived by roommates Brian Chesky and Joe Gebbia, who turned their living room into a bed and breakfast in order to afford the rent for their loft in San Francisco. The original version of the site offered short-term living quarters and homemade breakfast. To stay afloat, Airbnb’s founders sold novelty cereal boxes. The story caught the eye of Paul Graham, a longtime leader of successful start-up incubation program YCombinator. The rigorous and influential program has invested in more than 600 companies, including Dropbox and Heroku. 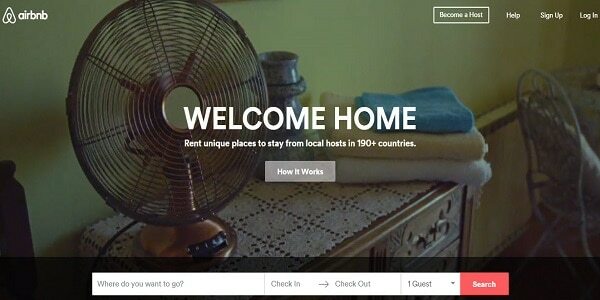 In order to build an active community marketplace for people to discover unique accommodations around the world, Airbnb curated listings on its homepage and developed a user-friendly mobile website. From the beginning, the company worked to build a brand that focused on the merits of finding creative properties and kind hosts, rather than just providing a directory of properties. To capture market share from traditional competitors, the company focused on price. Airbnb rentals are usually 30% to 80% lower than the available hotels. In Feb. 2011, Airbnb announced its 1 millionth booking. By late 2013, the company reported it had more than 6 million new guests in 2013 that has currently grown to a total of 60 million in numbers. In the meantime, the company acquired several competitors, from German competitor Accoleo, to London-based rival CrashPadder. Unlike traditional competitors like Wyndham Worldwide — one of the most diverse hotel companies with more than 7,000 hotels worldwide, Airbnb does not own any property rented on its service. Its cost structure is lighter than Wyndham, which has to employ many people to maintain its operations, from bellhops to managers. And unlike HomeAway, which earns most of its revenue from fees that owners pay to list their rentals, Airbnb offers free listings. Airbnb makes money by charging hosts a 3% fee when they receive a successful booking and charging travelers an additional 6-12% on top of the rental fee. How Airbnb used Referral Program to increase its bookings? Airbnb reported that their daily bookings tripled when they implemented their referral program. They measured invites sent via email, Twitter, Facebook, and direct link, and they immediately tested (A/B testing) all kinds of variables to learn as much as possible. The new referrals program has already resulted in hundreds of thousands of nights booked by referred users in 2014, and referrals increased booking as much as 25% in some markets. Not only that, but Airbnb found that referred users tend to be better than the average user—in other words, they’re not merely in it for a free night. They tend to remain engaged with Airbnb and book future trips, and they are much more likely to send referrals themselves. Airbnb’s approach was more straightforward. When users referred new participants to the site via an email invitation, the referrers received a $25 travel credit when new members completed their first trip and a $75 credit when they hosted guests for the first time. Airbnb benefited by only having to pay out for referrals after new users paid into the system, allowing the travel-sharing company to grow through its referral program in a sustainable way.